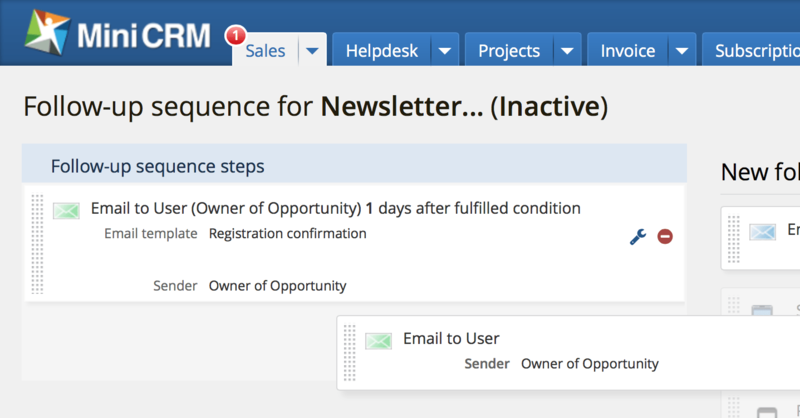 Issue paper and e-invoices, receive automatic reminders in email and sms. 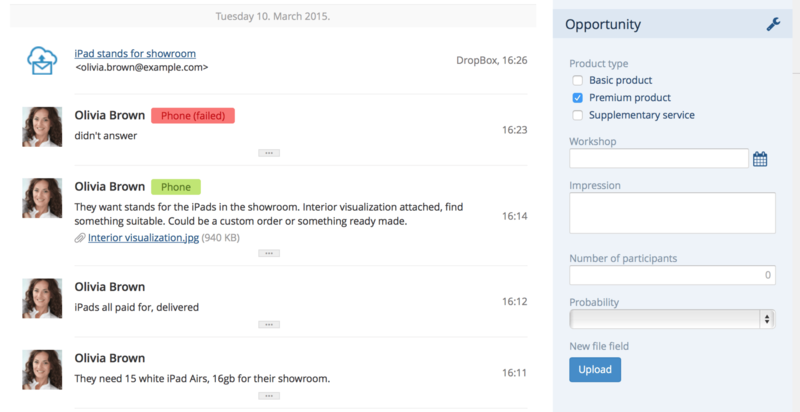 Issue a new invoice based on a previous offer or invoice, and manage your tasks. 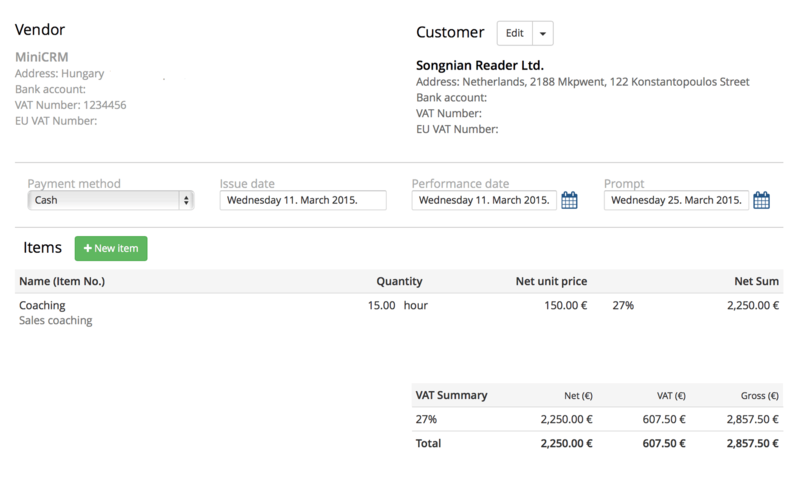 Edit the invoice and its items on a clean interface. The list of goods is automatically updated with goods that have been once invoiced so you don’t have to deal with managing them separately. 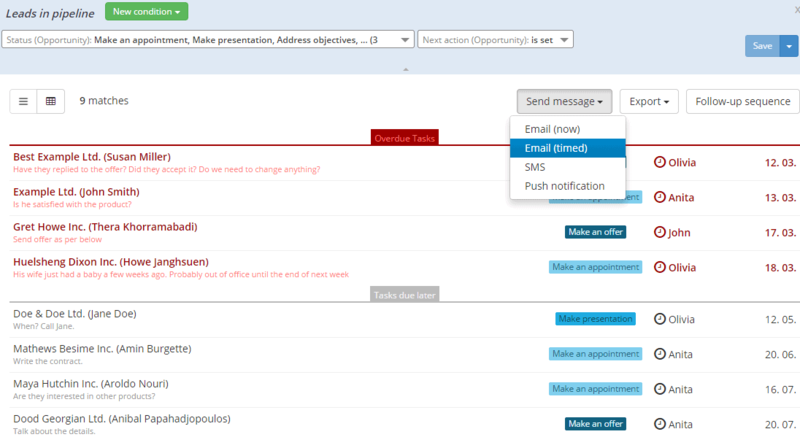 See next actions and completed tasks, notes, card modifications, emails and attached documents in chronological order. Create filters on invoices. Launch email and sms campaigns to custom audiences and see detailed statistics. Set up follow-up sequences to send payment reminders and to prompt your colleagues about customers they need to call. Key customers based on spending, income and receivables, payment deadline. Statistics on delivery of reminders and openings. By clicking on numbers displayed in each sendout, you get a list of customers who opened your email.